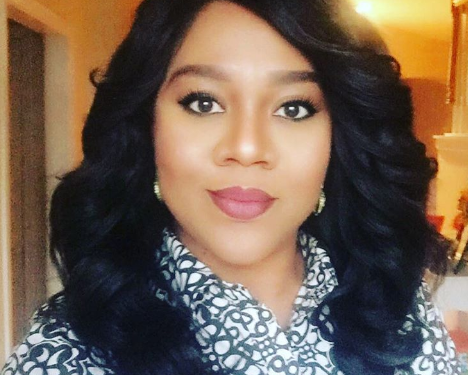 The Nollywood actress and singer had yesterday, April 5, received a number of backlash for reposting her step son’s photo on Instagram to wish him a happy birthday. 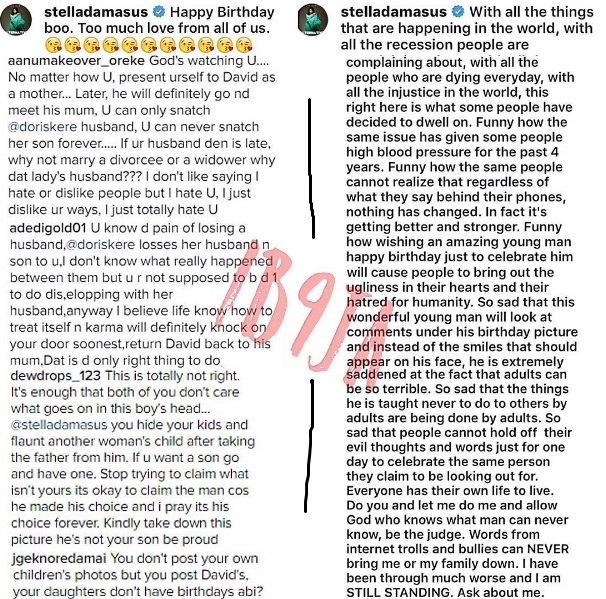 The little boy who just turned 9 was born by actress Doris Simeon, who is the ex-wife of Stella’s husband. However now, Stella has braced up courage to fire back at her trolls or critics, particularly a fan who felt it was disrespectful of her to have done that to Doris Simeon, and also wrote some hateful words against her. “With all the things that are happening in the world, with all the recession people are complaining about, with all the people who are dying everyday, with all the injustice in the world, this right here is what some people have decided to dwell on. Funny how the same issue has given some people high blood pressure for the past 4 years. Funny how the same people cannot realise that regardless of what they say behind their phones, nothing has changed. In fact, it’s getting better and stronger. Funny how wishing an amazing young man happy birthday just to celebrate him will cause people to bring out the ugliness in their hearts and their hatred for humanity. So sad that this wonderful young man will look at comments under his birthday picture and instead of the smiles that should appear on his face, he is extremely saddened at the fact that adults can be so terrible. So sad that the things he is taught never to do to others by adults are being done by adults. So sad that people cannot hold off their evil thoughts and words just for one day to celebrate the same person they claim to be looking out for. Everyone has their own life to live. Do you and let me do me and allow God who knows what man can never know, be the judge.